The misty mountains of Sapa and North Vietnam are home to beautiful ethnic markets and idyllic hiking trails, offering a remote and rural side to Vietnam. Don your hiking boots and head out into the hills, stopping at minority villages to witness traditional local life first-hand. Nestled in the Hoang Lien Mountains of north-western Vietnam, the popular market town of Sapa was originally built as a hill-station by the French in 1922. Dominated by the Fansipan mountain range beyond, Sapa is perfectly placed to offer some of the best trekking opportunities in Vietnam. The high altitude also makes for more comfortable temperatures during the hotter summer months. It is possible to arrange any length of walk from a short half day stroll through the rice paddies to longer treks for a week or longer taking you from village to village. Even short hikes offer the chance to get away from the bustle of town life, and provide an insight into a totally different side of Vietnam. 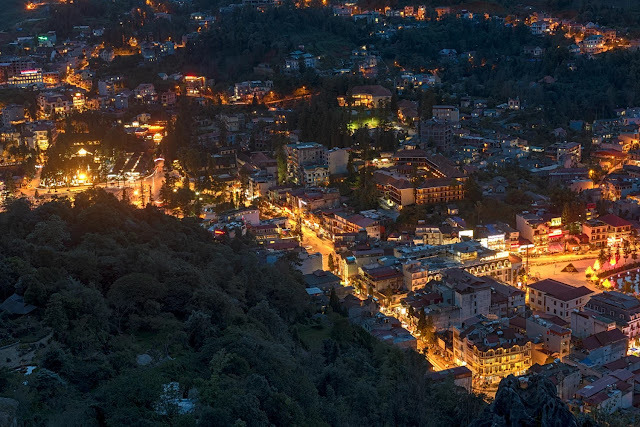 At night Sapa is still very lively. Streets with very romantic names like Cầu Mây, Mường Hoa... is crowded with foreign tourist. They leisurely walk on sloping street, contemplate souvenir shops and take photos. Tourists who are keen on exploring traditional cultures will be lured by the Love market in Sa Pa. Ethnic groups put on their most colorful costumes and head to Sa Pa's market on Saturday. The girls hide in the dark shadows and sing love songs to attract the boys, who try to find where the songs come from. If they are well matched, they disappear into the forest for three days. Perhaps, some of them get married after that. 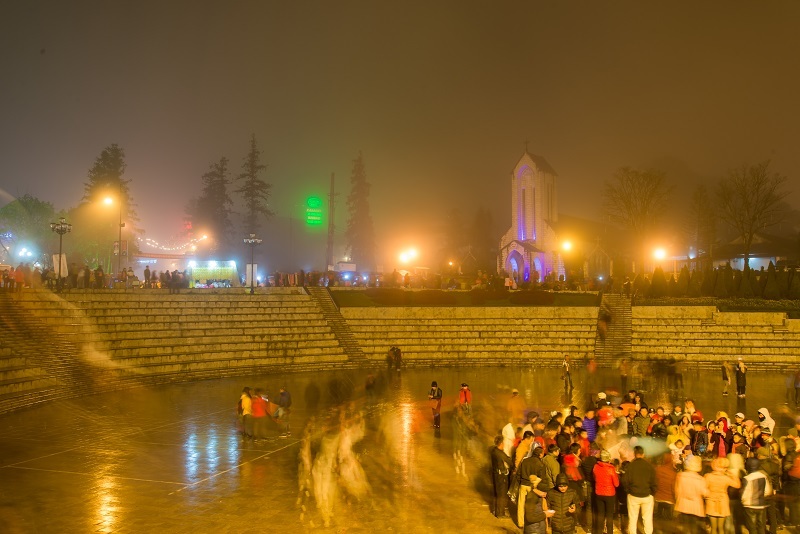 That is an interesting experience in Sapa that toursits can never forget is its nightlife. 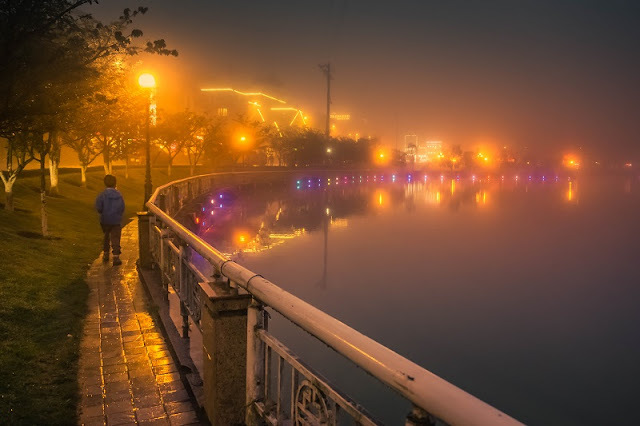 In daytime , Sapa is beautiful ; its night scennery is also extremely gorgeous. The mountainous city is it up with attractive, colorful light which creates an extraordinary fanciful sight .... Join in the great holidays in Vietnam, live closer to nature, experience more new things from this beautiful land.